Mr. Hernandez represents clients in a broad range of transactions, regulatory matters and tax issues involving aircraft and other aviation assets. He has negotiated and drafted documents for countless purchases, sales, leases and financings of commercial and business aircraft, aircraft fractional interests, engines, and spare parts. He has also advised clients in acquisitions and dispositions of businesses, the assets or operations of which are regulated by the U.S. Department of Transportation and/or Federal Aviation Administration (FAA), including aircraft parts manufacturers, service vendors, and charter operators. Mr. Hernandez has advised clients on flight department start-up and operations; airline aircraft-related procurement agreements; FAA-compliant owner trustee arrangements for aircraft ownership; ownership, operation and cost recovery/reimbursement arrangements and restructurings; and related regulatory, insurance, and Federal and state tax issues. Mr. Hernandez has years of experience representing clients in secured debt and lease financings of aircraft and engines, including on- and off-balance sheet transactions, U.S. and Canadian government-supported direct loans and loan guarantees from the Export-Import Bank of the United States (Ex-Im Bank) and Export Development Canada (EDC), foreign-currency denominated secured credit facilities, and multiple lender financing arrangements. He has negotiated finance, leveraged, operating, and Aircraft, Crew, Maintenance & Insurance (ACMI) leases of aircraft; aircraft management, charter use, and modification agreements; private jet card/prepaid charter program agreements, and volume and special charter agreements; hangar leases; and engine maintenance (power-by-the-hour) agreements. He has extensive experience drafting, negotiating and advising clients on aircraft management agreements; pilot services agreements; long- and short-term engine leases; and aircraft use agreements, including time sharing, interchange and joint ownership agreements. In addition, Mr. Hernandez has represented clients in aircraft fractional interest purchases, leases, trade-ins, and sales. 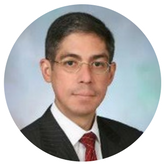 Mr. Hernandez serves as the Managing Attorney of HMS Everett PLLC. Mr. Hernandez practiced business and aviation law – first as an associate and then as a partner – in Am Law 200 law firms (and their predecessor entities), including one of the largest global firms, during the first 25 years of his legal career. Mr. Mietus primarily represents U.S. and foreign airlines in U.S. aviation regulatory matters. His aviation practice, mostly before the U.S. Department of Transportation and Federal Aviation Administration, involves air carrier licensing, competitive route/slot selection, and certificate upgrade and transfer proceedings; economic, safety, and customs rulemaking and regulatory compliance; international aviation negotiations and disputes; regulatory aspects of commercial transactions; and airport rates and charges issues. He also counsels clients in the regulation of hazardous materials transportation and rail and motor carrier safety. Mr. Mietus serves as Of Counsel to HMS Everett PLLC (the Firm). 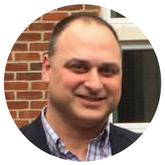 Mr. Mietus began practicing law at Verner, Liipfert, Bernhard, McPherson and Hand, Chartered in Washington, D.C. and was a partner at DLA Piper LLP before launching The Law Office of John Mietus, LLC and becoming affiliated with another firm, where Mr. Mietus also practices law. There is no affiliation between the Firm and any other firms where Mr. Mietus practices law. 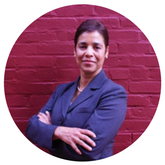 Ms. Santos represents clients in litigation, employment and immigration matters. Prior to entering private practice, she served in the U.S. Department of Justice (DOJ) for nearly 20 years, first as an Assistant United States Attorney for the Eastern District of California and then in DOJ’s Criminal Division in Washington, D.C. She has managed teams providing training to judges and prosecutors in Latin America and worked with U.S. Supreme Court Associate Justice Sonia Sotomayor to establish the Judicial Studies Institute in Puerto Rico. 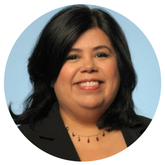 In addition to practicing before the U.S. District Court for the Eastern District of California, Ms. Santos has handled appeals before the U.S. Ninth Circuit Court of Appeals. Ms. Santos served as a law clerk to the Hon. Gilberto Gierbolini Ortiz (deceased), Chief Judge for the U.S. District Court for the District of Puerto Rico. Ms. Santos serves as Of Counsel to HMS Everett PLLC (the Firm). She also practices law at Santos Law Group. There is no affiliation between the Firm and Santos Law Group.